Looking for an indoor activity for your preschooler that’s both fun and educational? Then you need a busy bag! Or if you’re like me and like to drink coffee while it’s still hot then you may want two…or three…or four! Because once you venture into the world of low prep-high fun (and learning!) busy bags you’ll be hooked. They’re a great hands-on way for kids to learn and play on their own. Make this foam heart lacing busy bag today! This lacing busy bag could not be easier to prep! 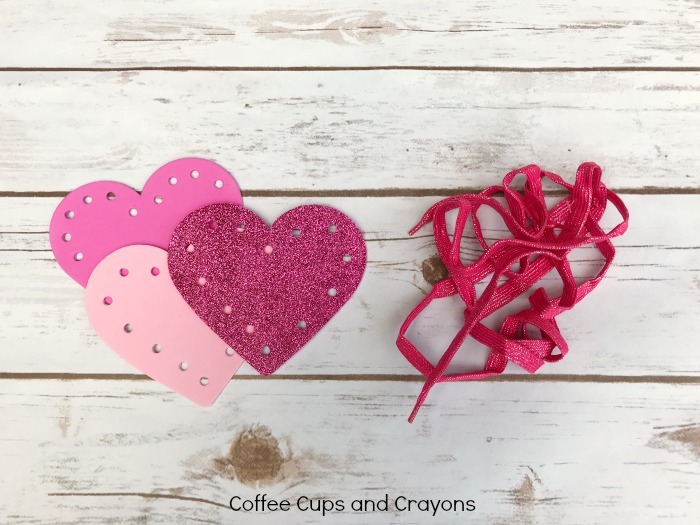 Look for foam hearts at the store to save yourself even more time–you can usually find a package of foam hearts for a dollar. 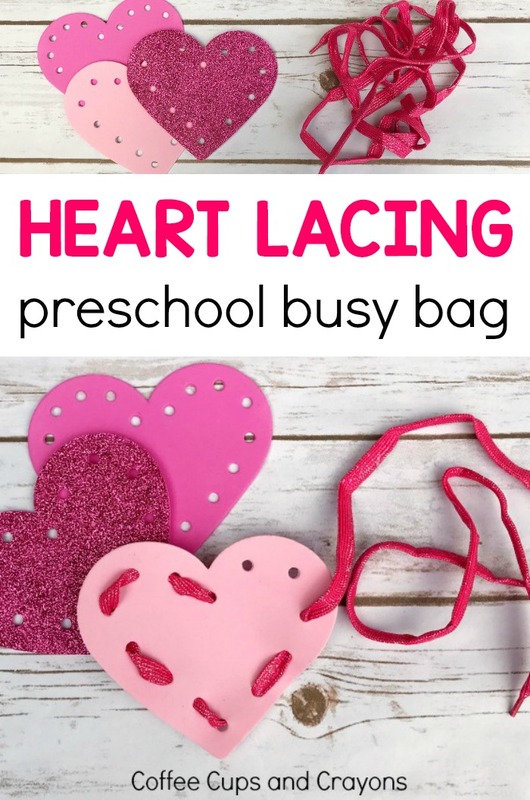 Once your foam heart lacing busy bag is ready you can take it with you anywhere and sneak in some fine motor practice on the go. If you don’t have pre-cut foam hearts then use scissors to cut your craft foam into heart shapes. Use the hole punch to punch holes along the edges of the heart for lacing. Make sure to leave a space between the hole and the edge so the holes don’t rip through. If you think it is necessary for your child you can start the shoelace through one of the holes for them. Let your child start lacing! 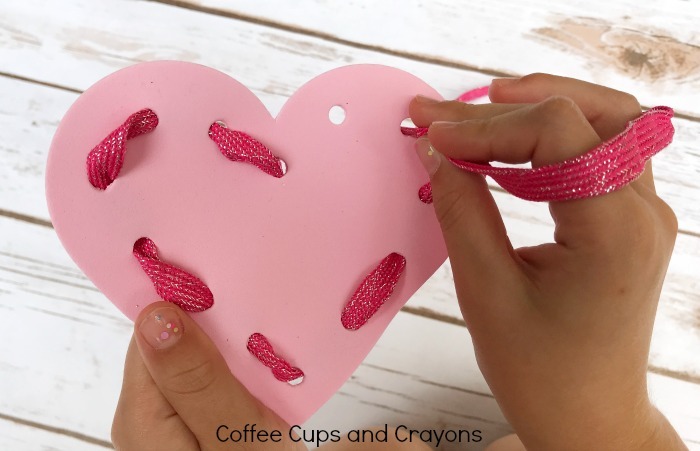 These heart foam lacing cards do more than just keep kids busy. They also also helping preschoolers develop their hand-eye coordination and fine motor skills. Moving the shoelace through the holes of the heart is a great way to strengthen hands and fingers and help them start building the skills they need for handwriting. Children with newly developing fine motor skills may find it easier to lace the hearts when the holes are spaced farther apart. You can also modify the busy bag by encouraging them to lace across the heart instead of around it. To make it more challenging add smaller ribbons and strings to the bag for kids to lace with. The best thing about these types of activities is that there is no right or wrong way to play. 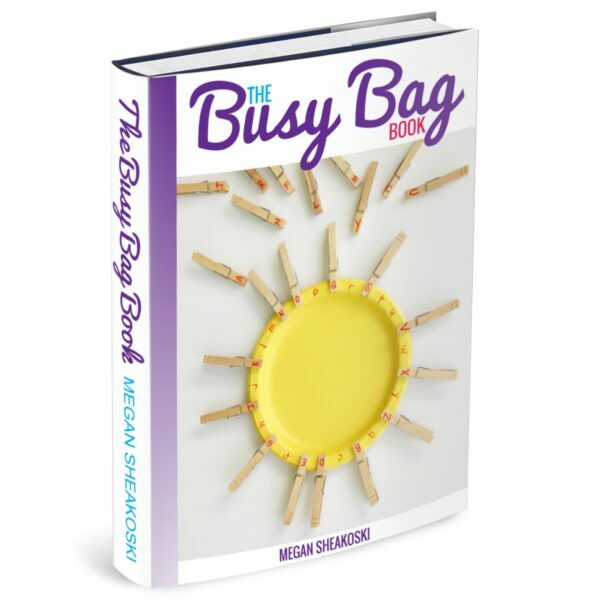 Start with your child’s current skill level and let the busy bag grow with her. 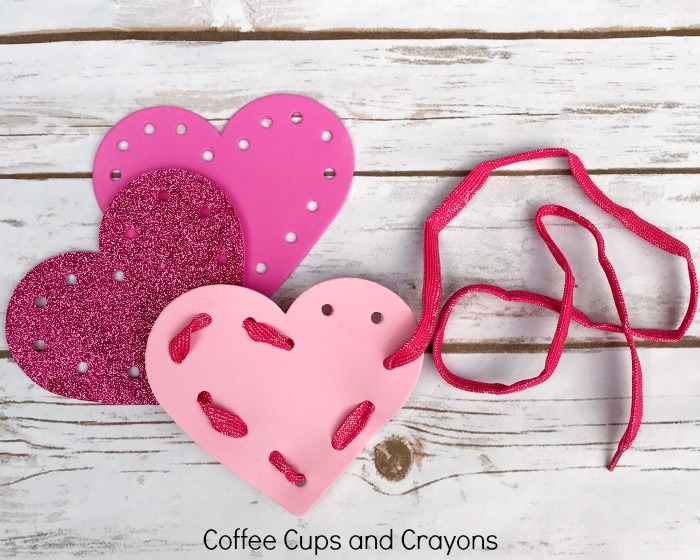 There are so many ways for preschoolers to play and learn with hearts! 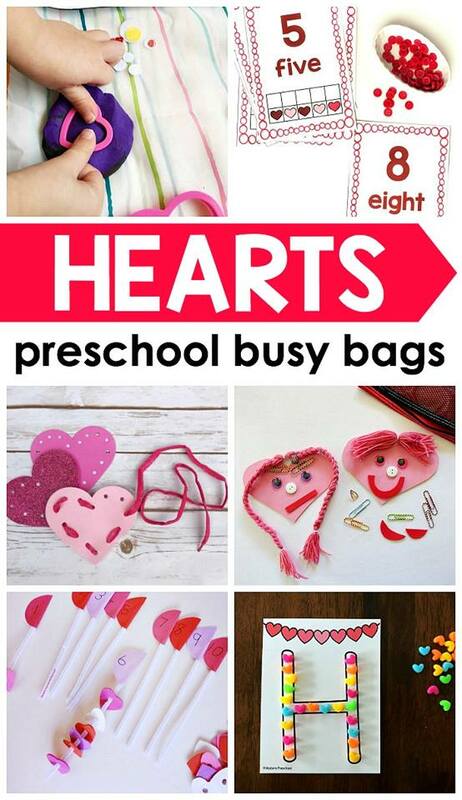 Here are five more heart-themed busy bags you can prep once for your kids to play with again and again. You’ll finally have time to finish your coffee before it gets cold! So cute! Going to try it this weekend!